Just how low can you go while still having a great time in Tokyo? Eat tons of tasty food, get around the city and even take a couple of day trips, all without feeling deprived, depressingly frugal or sleeping in parks. A longtime Tokyo resident shares how to enjoy Japan's capital without making your wallet cry! While many guides suggest making use of capsule hotels or hostel dorms to save money, having a private room will make sure that you aren't kept awake by the snores of other travelers, and is also a good option for safety reasons. Fortunately, Tokyo is full of small hotels, hostels, ryokan and other spots that offer small private rooms. A few options are Hotel Meigetsu or Juyoh Hotel, which usually have rooms for around ¥3,000~3,500 (around US$30) per night for solo travelers. By staying a little bit outside the center of town (and making good use of cheap train passes explained later), you can save a lot on accommodation, and also get to experience a more local side of the city you might otherwise never get to see. Another trick to make sure you get the best deals is to book early, as most of the affordable hotels with private rooms fill up quickly. Japan's reputation for incredible food is well-earned, and many people think you really have to splash out to enjoy the best this food-adoring country has to offer. However, the excellent quality and attention to detail trickles down to plenty of budget-friendly spots as well, so you can eat extremely well even if you are on a tight budget. But what's the fun of traveling if you don't live a little? We also have the lowdown on how to get a fancy meal or two for a reasonable price too. For breakfast you can work your way through the endlessly intriguing baked goods, sandwiches and onigiri rice balls available at convenience stores or supermarkets for ¥300 a day, including coffee (available both in cans and freshly brewed at certain chains). There are also chains that specialize in quick, tasty breakfasts that about ¥350 for a set that typically includes rice and soup, so keep your eye out! For lunch and dinner, there are plenty of options for you to try a whole range of Japanese cuisine for under ¥1,000 per meal. There are lots of cheap and cheerful ramen chains that provide satisfying bowls of noodles for under ¥400, while a big bowl of udon with a couple toppings will only set you back about ¥600~800 at chains like Hanamaru Udon or even less for a meal of soba noodles at spots like Fuji Soba. If you prefer to avoid chains, set lunch meals (known as teishoku) are available at restaurants and cafes around Tokyo. While wandering around keep an eye out for handwritten menus posted outside restaurants showing prices around ¥850～1,000. You may need to use a translation app to figure out what your meal will be, but it is likely to be a nice filling set with a main course, some rice, soup and some veggies. Even sushi restaurants will have lunch sets for ¥1,000, although it is likely to be an omakase (a pre-set selection of sushi with no substitutions). You can check out a whole list of Japanese dishes here, many of which are quite wallet-friendly (particularly yakisoba, takoyaki and Japanese-style curry). If you plan to splurge, one tip is to switch out dinner and lunch. In Japan, even very famous restaurants will often offer a weekday lunch course for a fraction of the price of what you would pay at dinner. Check out a few of our suggestions for ritzy restaurants in Ginza that offer lunches in the ¥1,500~4,000 range (compared to their dinner menus, that usually start around ¥7,500 and swiftly go up from there). Tokyo's train connections not only allow you to get around the city quickly and cheaply, but also make it easy to take day trips to nearby sights. If you plan on visiting several other cities (such as Kyoto, Hiroshima or beyond) then the excellent JR Rail Pass is certainly a good bet. Unfortunately, while a good deal, it will still set you back several hundred dollars. 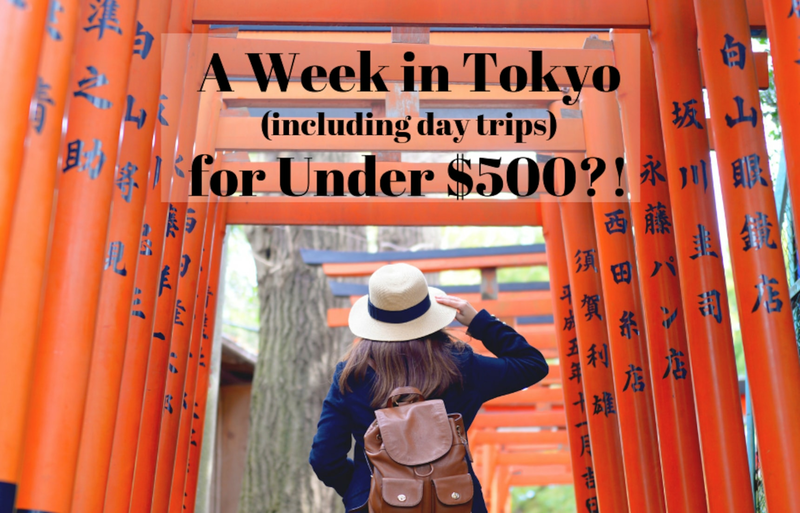 By staying in the Tokyo area and taking a couple of day trips to cool spots within regular train distance, you can save a bundle. There are several different tickets that can help you keep transport costs low, but the Tokyo Metro 24-Hour Ticket (at just ¥600 per day) will allow you roam the city for a flat fee all day. It even gets you discounts and free perks at about 400 different museums, attractions, shops and restaurants around the city. There's also the Tokyo Subway Ticket, which offers 24-hour, 48-hour and 72-hour options, and is valid on the Tokyo Metro and Toei Subway lines (plus the commercial features our editor, Nick, looking expertly confused!). While Tokyo is endlessly fascinating and full of areas to explore, getting out of town to visit some of the cities nearby is a must. There are plenty of interesting spots to explore within day-trip distance, and there are also a number of special passes that help you save both time and money. For instance, the former samurai capital of Kamakura and charming Enoshima are just an hour and a half away from central Tokyo, and Odakyu offers the Enoshima-Kamakura Pass for just ¥1,470, including roundtrip tickets between Shinjuku and Fujisawa, and unlimited rides on the Enoden Line. Another retro gem is nearby Kawagoe, known for its old merchant homes and warehouses—and the delicious local sweet potatoes—which comes in at just ¥700 for a roundtrip ticket between Ikebukuro and Kawagoe. 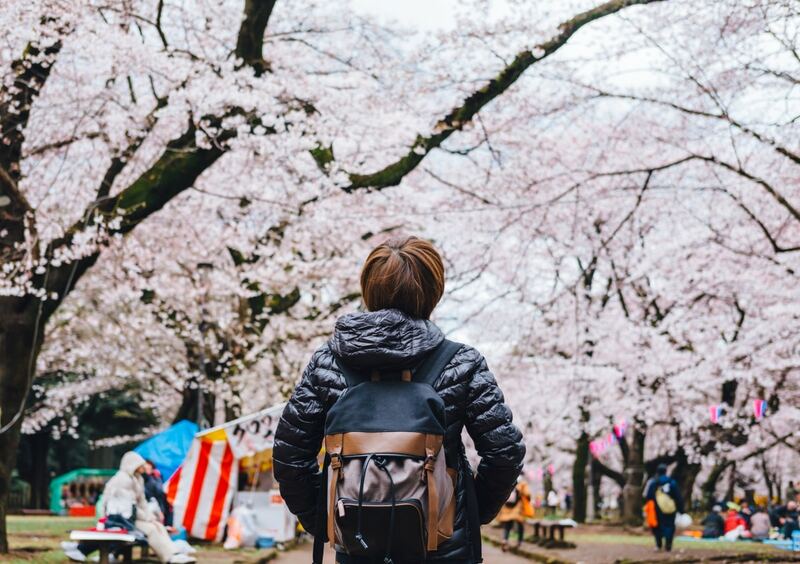 Another lesser-known option is the Seibu Pass, which gets you a full day exploring charming spots like Chichibu (known for its shrines and incredible shibazakura fields in the spring), Kawagoe, hiking spots around Agano and other rural gems, all for just ¥1,000. You can also check out our list of 13 affordable day trips from Tokyo here. Many of Tokyo's most famous sights, such as Sensoji Temple, the Imperial Palace or the Shibuya Scramble are free. The baffling number of shrines, temples and parks dotted around the city are also usually open to the public without charge. A certain number of museums and galleries offer free entry, and there are even volunteer tour guides who can take you around. Just rambling around is sure to lead to plenty of wonderful discoveries and memories, without the need to open your wallet. Of course, a few sightseeing spots do require fees. Some of the most famous gardens, such as Shinjuku Gyoen, Rikugien Garden or Korakuen Garden cost a couple hundred yen to enter but are well worth the cost (especially in fall and spring). A ride up to the top of Tokyo Skytree. To get the most bang for your buck, book a Fast Pass online and only go up to the Tembo Deck (at 350 meters), skipping the even higher Tembo Galleria at 450 meters. Not only will you save almost ¥1,000, but the views and photo opportunities from the 350-meter deck are much better, especially around sunset. Tickets for the magical Ghibli Museum are well-priced at ¥1,000 for adults. The cheapest way is to book your tickets a month or so in advance from this site . But be quick, as the tickets sell out rapidly! Try to avoid weekends and holidays, when it is particularly crowded. The Robot Restaurant continues to amuse (and bemuse) visitors to Japan's capital. While it can be a bit over-the-top, check out our post on the subject and decide for yourself if the wackiness is for you. If you do decide to go, be sure to book your ticket online and in advance, as you can save a good chunk of money that way. ¥52,500 ($475) for someone on a tight budget, or ¥63,500 ($572) for those who want a few extra luxuries. You don't need to spend a bundle to have a great time in Japan's capital, so what are you waiting for? Budget accordingly and start exploring!